Strike that. I obviously underestimated the Bergoglian faction’s cunning. In spite of what the final Relatio says, the Relatio Post Disceptationem (the Extraordinary Synod’s Midterm Report) has effectively become the new thesis, and as next year’s Ordinary Synod approaches the points of view of many bishops will gradually move in its direction; toward something that looks quite a bit like the former thesis turned synthesis. The destructive power of the Relatio Post Disceptationem will immediately be felt as the final Relatio is published and evaluated. For my part, I intend to read it as I try to read all things; namely, through the lens of our Catholic faith. Others, however, will undoubtedly, even if unconsciously, read it through the lens of the Midterm Report, and will thus fail to give due note to those portions of the document that signal the bishops’ collective willingness to accept the false notion that one can separate doctrine from discipline and still remain faithful to Our Lord and the mission of the Church. This is exactly what I expect of the final Relatio; a pathetic mishmash of qualified statements, contradictions, along with a healthy dose of pseudosacral homopoetic prose that only the Relatio Post Disceptationem could make look acceptable. Over the first six months of Francis’ papacy, we were bombarded with a near endless stream of stories courtesy of the media, both secular and Catholic, highlighting the unprecedented humility of the current pope. It was clear to me then, and is even more obvious now, that the Vatican PR machine was engaged in a program of propaganda (otherwise known as “humbleganda”) that makes Pravda under Nikita Khrushchev look like a bunch of rank amateurs. In spite of all of the manufactured tales and pre-arranged photo-ops that purported to give the world an “inside look” at the Argentinian man-about-the-barrios-dutifully-come-to-Rome, I think it’s safe to say that we are currently living under what is perhaps the least humble and most self-centered, narcissistic, micro-managing pontificate the Church has witnessed in several centuries. There can be no question whatsoever at this point, at least in the minds of men of good will, that the primary instigator and Generalissimo of the internal assault against our Holy Catholic Faith, not just as it concerns the proceedings of the last two weeks in Rome, but in general, is none other than the pope. Let’s not mince words as to what this assault entails; it is nothing less reprehensible than the scourging of the Body of Christ. One wonders just how much more damage (and he has already done plenty) Pope Francis will do before the terrible chastisement that is his pontificate mercifully comes to an end. Apparently, his hero coming out so vocally was too much for him, and since . Cardinal Burke’s words condemn the Pope as the mastermind behind the plot to damage the Church, Michael finally reports the full news! Praise God. Michael Voris finally dropping the act would be great, as he is a skilled orator and has the charisma. I enjoy watching his videos. Also he’s seen as a pest by “conservative” propaganda outlets such as the cesspool of tyrannical heresy called “Catholic Answers” and the like, so his conversion will no doubt wipe that hypocritical grin off their faces. I think Voris needed to hear it come from someone like Cardinal Burke, and I thank God he did. When the final Relatio comes out: Who am I to judge? Pope Francis might be creating a monster for himself in the person of Cardinal Burke. 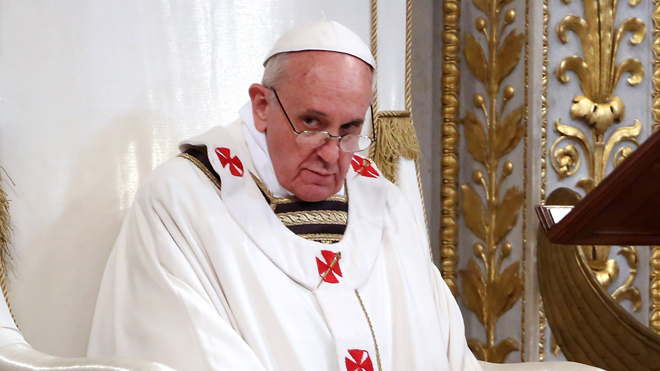 If the latter’s forced retirement (or exile, depending on how you see it) is officially confirmed – which seems certain at this point – it will not only cement the image of Pope Francis as the vengeful sourpuss, but it could very well free up the 66-year old Cardinal to speak his mind without recourse to his usual diplomatic niceties. If he’s not very careful, Pope Francis will, with a single stroke, end up giving the scattered traditional forces in the Church what they’ve been missing since the death of Archbishop Lefebvre: a notable spokesman with a clear opponent. And this time around, there’s neither schism nor excommunication to tarnish him with. Unless Burke is “heart-attacked” or something similar. I was reading Fr. 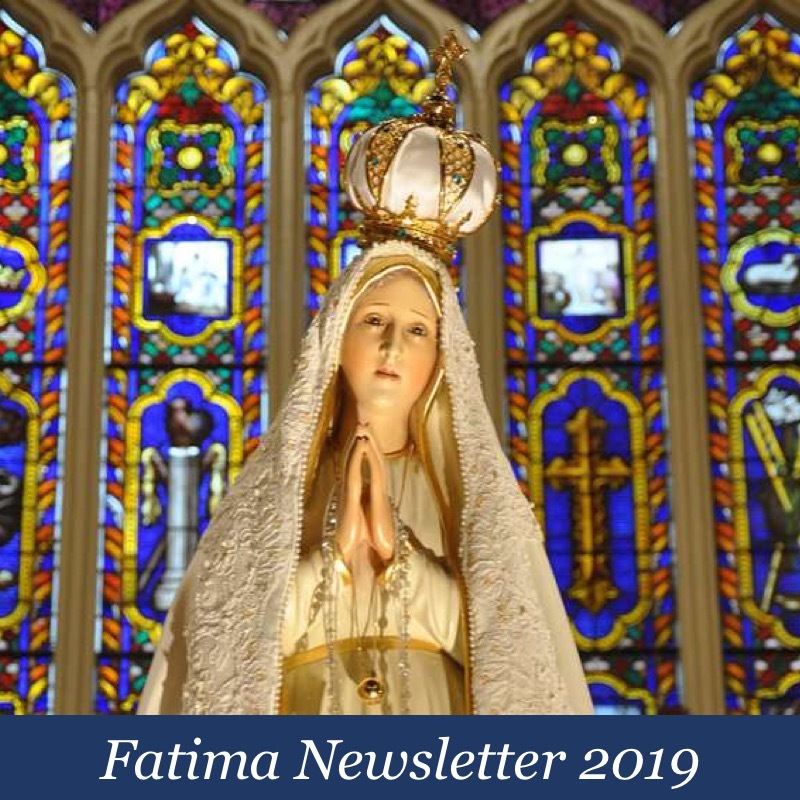 Villa’s pdf about Medjugorje (or was it Paul VI?) and he said there were 6 attempts on his life since he began publishing. That part of things will always be beyond our control. What we DO know is that God has a plan that does not include His abandonment of His Church, and Mary’s assurance that “In the end, My Immaculate Heart will triumph.” So we should continue (or begin) doing all we can by prayers and sacrifices daily-Rosaries and Masses included, to help bring that promise to completion, and leave the rest to God. We agree, which is why we see this as such a definitive moment. 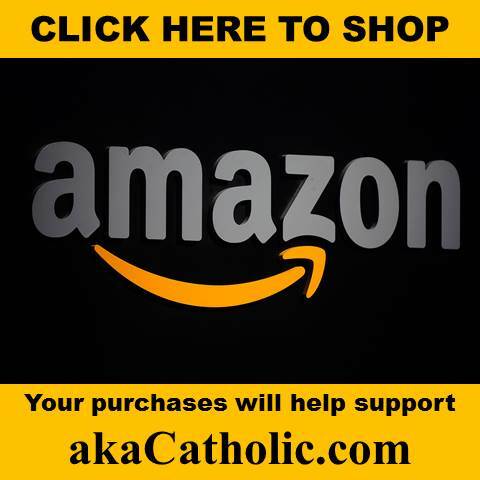 We know Burke is speaking God’s Truth while we know just as clearly that the Jesuit modernist mindset that has come swarming out of the abyss to manifest itself without shame -especially since March 13, 2013, is speaking will fully forked tongues on all these important issues about which there can be no doubt for any true Catholic. That makes it really clear which side to take if Burke has the courage to go all the way and call for Francis to be officially deposed by a Church council, and if God also blesses us with enough Cardinals and Bishops now ready to back him up, to spare us any more of this Papal abuse. For now, we’re grateful to see courage in action on the part of Burke and others like him, with the added major bonus of having Michael Voris back on the job. Let’s be charitable with Michael Voris. 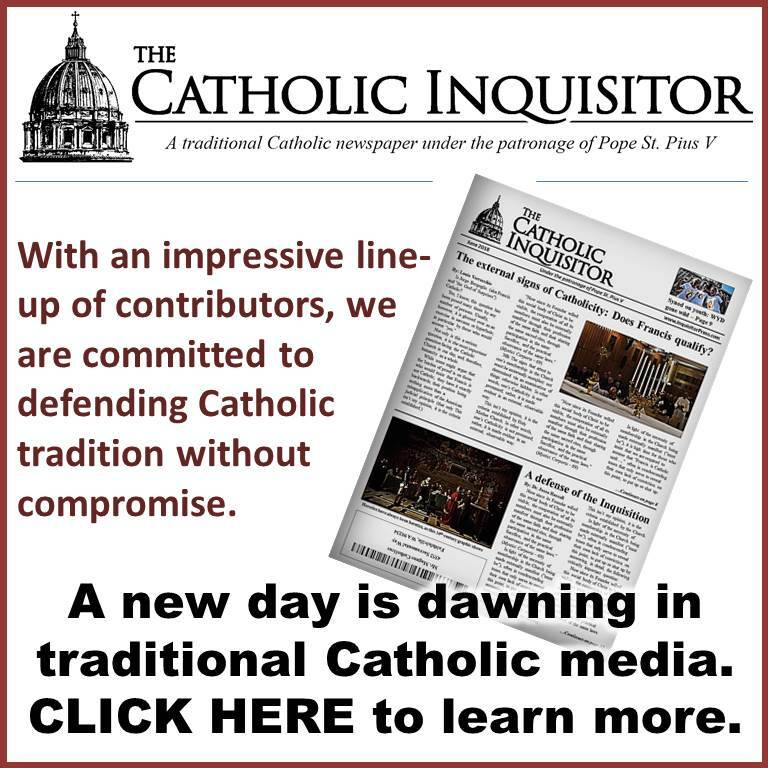 His personal pledge never to criticize the Pope has never stopped him from calling a spade a spade – the Bishops have always had complete authority in their various diocese. Voris is correct that the blame for the general apostasy must be laid at their feet. Yes, this has been 100 years in the making, and evil ‘theologians’ and philosophers have done incredible damage, aided by weak Popes. But each Bishop will have to pay for souls lost on his watch. And each priest will have to pay as well. It’s not that proper Church teaching has not been available. Hell, the Papal Encyclicals and Pastoral Letters of the past 200+ years are available for all to read. We are all responsible for searching for the Truth. Priests and Bishops are even more responsible for that search. When each of them takes the easy way out, and opts for Human Respect instead of the Truth – well, Hello Father Robert Barron! – hell is going to have to renovate because of all the souls flooding in. I’ve read Fr. Villa’s book on Paul VI and was just shocked at the man-centered words coming out of the Papal mouth. This has been coming on for decades and the present Pope was emboldened so he tried it on. Slight set-back this week but it will become more subtle again and therefore more dangerous. “Power corrupts. Absolute power corrupts absolutely.” Can we apply this to Bergoglio? How long till the merchants will cry for the Great Babylon fallen? The Italian version just come out. RC has it. Putting it through the translator will not do it justice, so just have to wait for the English version. Dolan’s conversion lasted for all of a day. Back to being another empty suit. Looks like they’re gonna legalise divorce/remarry + eucharist but not homos yet. Views from the “STAGED” SATANIC SECRET SYNOD OF SIN. And then the post goes into the “poor” church of Francis of Deutschland. B/t/w, did you know that the German Catholic church is the second largest employer in Germany? 690,000 employees. Enjoy the rest of the stats. Aramaticus, the Corriere is a freemasonic newspaper. Just like their physical “liaisons”. Masonic media is masterful at directing public opinion at large. The warning against Francis, because of his ineffectiveness to quickly “reform” what remains of the Church, could be they already have a new puppet ready to be incensed as the next big thing. After a “Pope” resigning, this could be the new normal. Like in Politics in Europe (especially Italy) where PMs are deposed at will by International Masonry aided by their media minions using a constant threat of “Emergency” (be it economic or political). See Berlusconi->Monti, Papandreu->Papademos, and again Letta->Renzi. I don’t trust Fr. Z at all, but the five minute video (at the bottom of the article page) of Cardinal Dolan on the Fr. Z website is interesting in that Cardinal Dolan flashes a freemasonic hand signal three times at the beginning of the interview. The interview itself shows that Dolan is speaking out of both sides of his mouth – trying to appease both sides of the issue. A freemasoninc ploy if I ever saw one. I would like to add that I don’t find it surprising that Doaln would use a hand signal like this. The signal that he uses represents a ‘six.’ And since he flashes it three times, it means ‘666.’ Not only is it freemasonic, but it’s also Luciferian, and used also by the Illuminati. Another positive sign…. the SV’s not happy. On the SV website dedicated to the Novus Ordo, nothing about Blue Thursday. In fact, the SV are so unhappy, that they actually paid Francis a compliment. And this story appears above a rehashed story bashing Cardinal Burke. It was Oscar Wilde who said that “The value of a man is not demonstrated by the quantity of his friends, but rather by the quality of his enemies. Poor Cardinal Burke, the enemies are really letting him down. I don’t understand, if points 52,53,55 have not been approved by the 2/3 of the voters, why are they even part of the published Synodal text in the first place? Also, look at the voting statistics, pro-homos pro-destruction of the family are a whopping 118 out of 185 Bishops! What I think it means is that the SECRET SYNOD could not even get the “compromise” points ratified. Keep in mind, the Francis plan was to ram through the Relatio as a unanimously accepted document so that he could issue an apostolic exhortation of new pastoral….. whatever. To keep this “turn about” in perspective, this was the state of play as late as this Wednesday p.m.
Let us pray for a VERY short papacy here and being charitable, hope for an early retirement or a holy death in a state of grace for this bishop of Rome. The bishop of Rome does not forget those who oppose him. It is almost unbelievable to see his machinations and the men he surrounds himself with. I would not trust this BoR with anything at all. But the Church is the Bride of Christ and the Bridegroom will see to her at the proper time. In the meantime, the sheep are being separated from the goats. But I think of Our Lady of Fatima showing the children how souls are falling into hell like snowflakes. We have to pray, every day, for those who have no one to pray for them and also for these churchmen because hell is hot and lasts forever and they have much to answer for. And do you think C. Burke will be invited to the next farce of a synod? Are the lies prepared for that one yet? 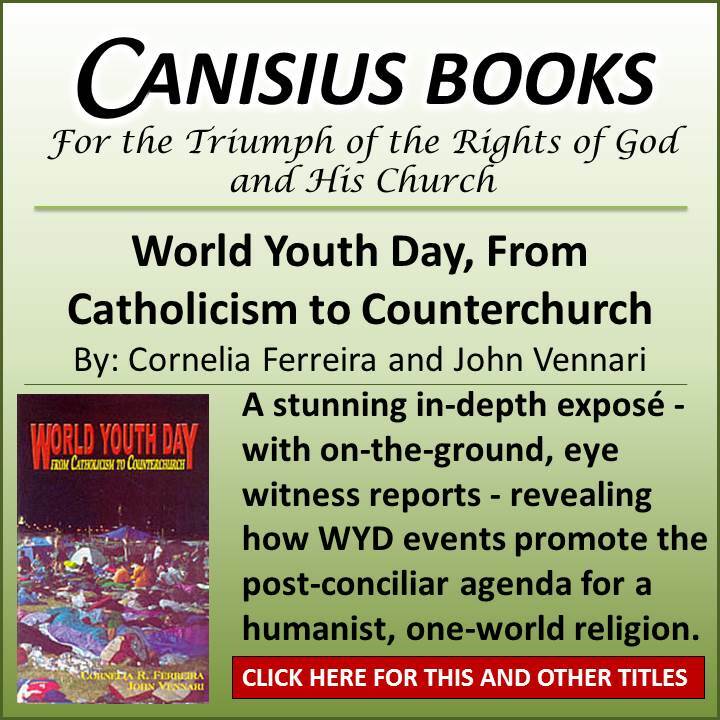 I meant to respond sooner to Louie’s thoughts and predictions here regarding the Synod, but I got caught up in responding to the posts of S. Armaticus instead. Better late than never. I think that Louie is right about the Synod’s midterm report has become a new thesis, and that the view of many bishops will move gradually in its direction. Thus gradualism will take its course, over time, in order for the bishops to accept a compromise, and accept a synthsis between the thesis and anti-thesis (if this is what Louie is saying). I agree, too, that there will a Bergolian Retribution for those orthodox bishops who went against the Pope (and his front men). Though one of the reasons that Cardinal Burke was so outspoken could have been because he had nothing to lose, since he’d already been demoted. As Louie says, the final Relatio could be made to look acceptable with a pathetic mishmash of qualified statements, contradications, and homopoetic prose that only the midterm report can be made to look acceptable (in comparison with?). I think that Louie means that compared to the Midterm Report, the final report might not look so bad, and thus the bishops might be okay with it. IMO, maybe this is what Francis had in mind all along, knowing that the obvious extreme additions of Forte would come to light; therefore making it necessary to protest initially against it. Maybe I’m wrong about that. Yes, the Vatican PR machine is engaged in propaganda, and as Louie says, we are currently living in what perhaps is the least humble and self-centered, narcissistic, micro-managing pontificate that the world has seen in several centuries. I would add something to this by pointing out that at least former Popes did not work from within (no matter how bad they were) to destroy the Church’s teachings. Pope Liberius was a saint compared to Francis. At least Liberius was coerced under extreme duress to sign the Arian documents. 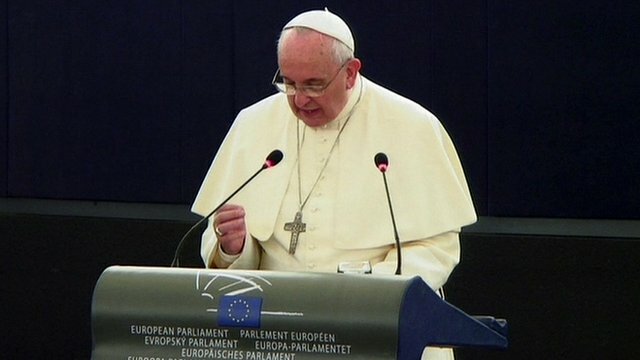 Francis is under no such pressure to side against the Church (except maybe from satan). Louie is absolutely correct about the instigator of the internal assualt against the Catholic faith being the Pope himself, and that it is nothing less reprehensible than the scourging of the Body of Christ. I think that should pray that Francis repents of his actions, and changes his course of action. It’s not only the Church that’s at stake, but his immortal soul as well.